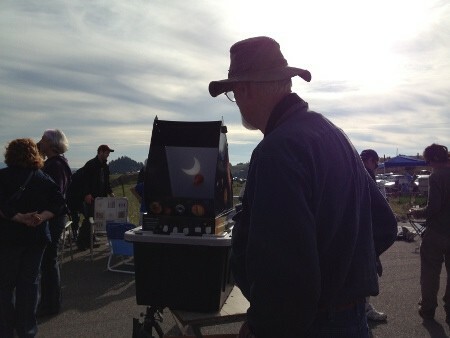 Eclipsers mobbed Kneeland Airport and the surrounding bucolic countryside Sunday evening to watch the annular eclipse. 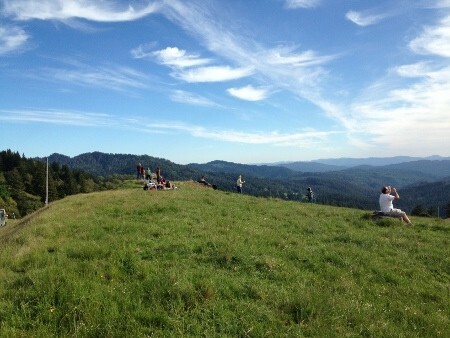 Meadowlarks sang and the people sprawled their picnicking selves all over the rolling green goodness. 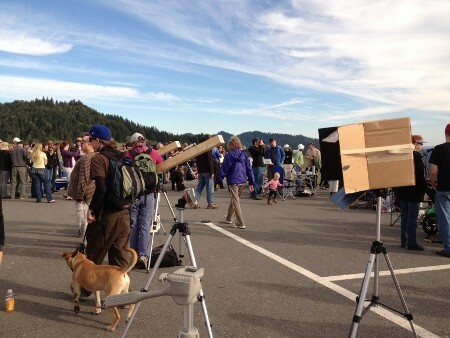 On the tarmac, the fabulous Astronomers of Humboldt and assorted other sky nerds -- bless them! 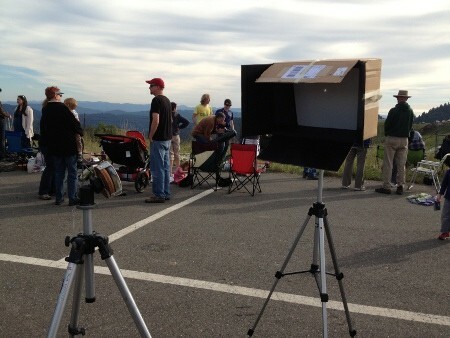 -- brought assorted contraptions for viewing the annular eclipse. Of course some people used those elusive glasses (why didn't local stores stock up on more of the darned things?). Others had welding masks and welding mask filters and welding masks mounted onto cameras. 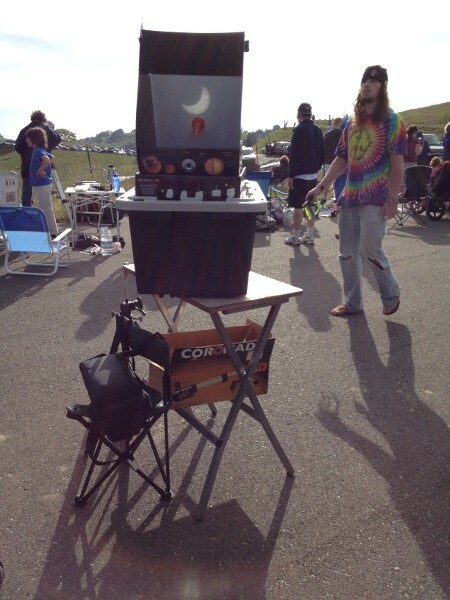 Telescopes. Binoculars. 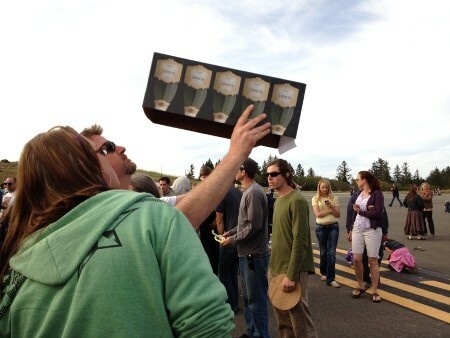 And champagne boxes. 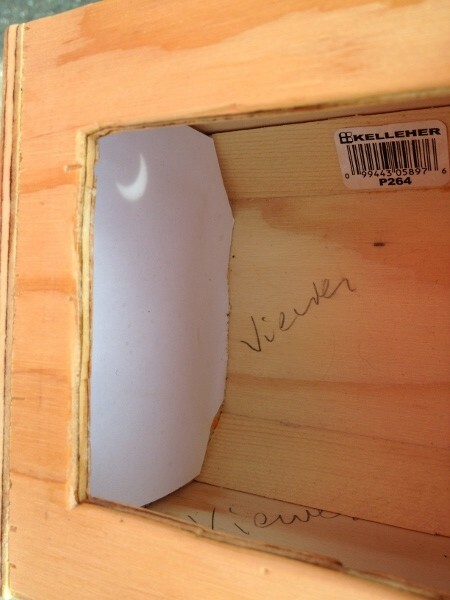 Everyone clapped when the ring of fire appeared (yes, it was kind of cloudy, but you could see it through some scopes). "Well?" 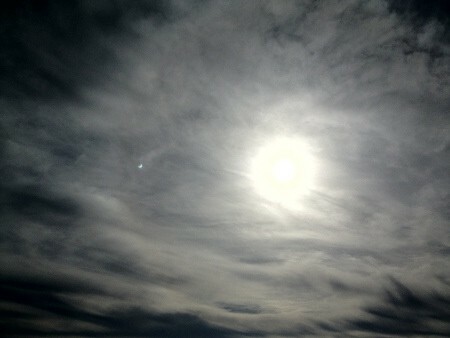 said a guy as the ring changed to a crescent and the smoky eclipse low light slowly traded places with sun and cloud. "Did they speak to anyone? Did anyone receive a message?" 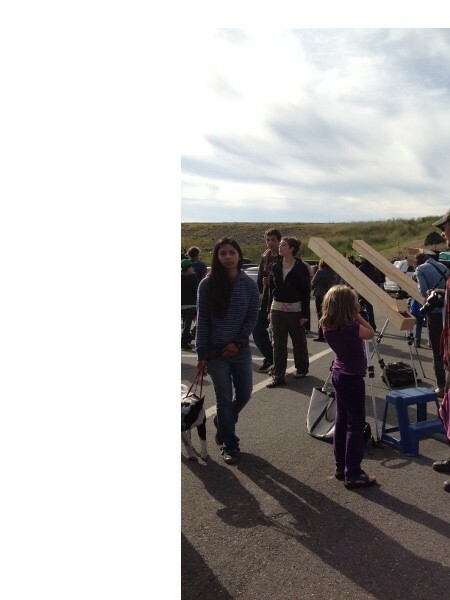 A woman standing apart from it all said she did almost expect the moon people to come down. Then the meadowlarks burst back into song. 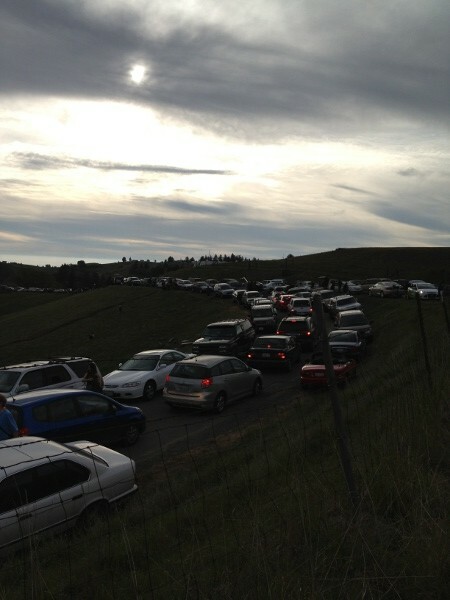 And everyone fled back down the hill. Slowly. Traffic-jammed.